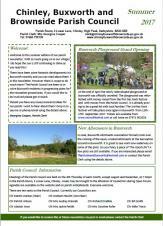 The latest edition of the parish newsletter is now available. Copies are available in local shops including Chinley Cheese Post Office, Peak Pharmacy, Tea on the Green and Parmar's Newsagents in Chinley as well as Buxworth Memorial Club. 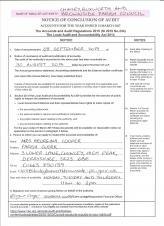 You may also collect a copy from the community centre in Chinley or from the Parish Room. 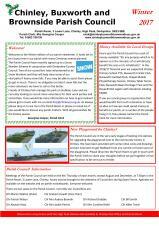 If you would like a copy posted to you please contact the Parish Clerk. The next meeting of Chinley, Buxworth and Brownside Parish Council is on Thursday 22nd June at 7:30pm in the Parish Room, 3 Lower Lane, Chinley. All are welcome to attend. The 123rd Annual Parish Meeting of Chinley, Buxworth and Brownside Parish will take place on Thursday 11th May at 6:30pm in the Parish Room, 3 Lower Lane, Chinley. Please find the agenda and minutes from last year attached. This meeting is an opportunity to discuss any issue, activity or subject specifically affecting our parish. EVERYONE WELCOME. Why has the multicoloured tree lighting changed to white, red and blue stripes? Sadly the lights used on the two large Chinley and Buxworth Christmas trees up until last year have seen better days. Please note that the Parish Office is now closed until Tuesday 3rd January 2017 and phone messages will not be dealt with until then. If you wish to report an emergency, please contact the appropriate authority using our A-Z facility.